Spring has certainly arrived with it’s Bleeding Hearts, Forget Me Nots, and Grape Hyacinths! 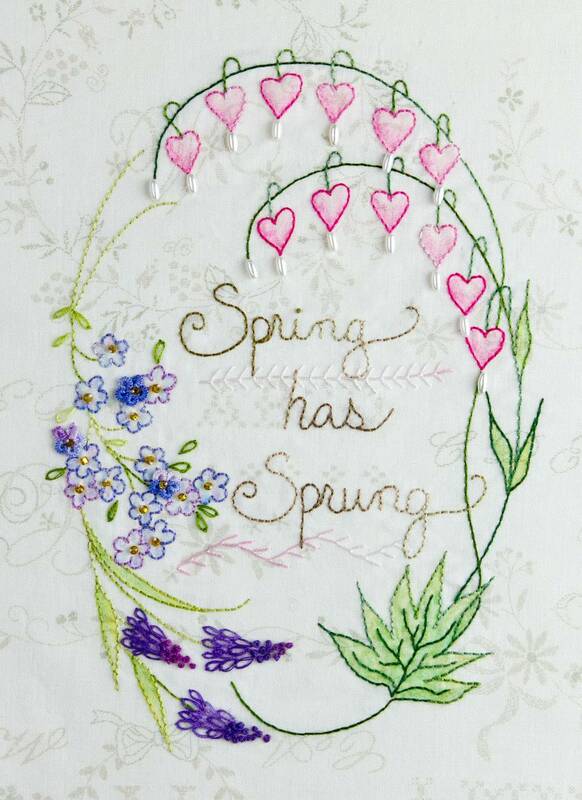 This easy little hand embroidered pattern is embellished with crayon tinting, 3D forget me nots, and even a few sparkly beads! Pattern is for the 6” x 8 1/2” image only.